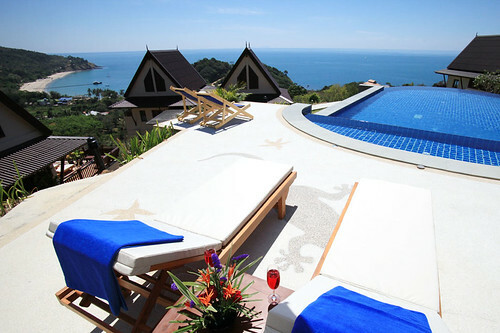 Situated on the hill side over looking Kantiang Bay, you will find a unique Villa complex. Baan Kantiang See Villas comprises of eight fully furnished luxury Villas which where designed and built with privacy, space and comfort all being a key factor. 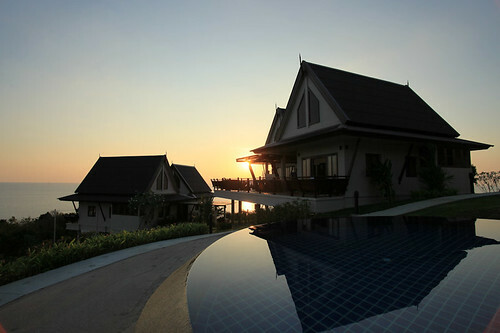 Baan Kantiang See Villa’s crystal clear infinity swimming pool over looking Kantiang Bay. 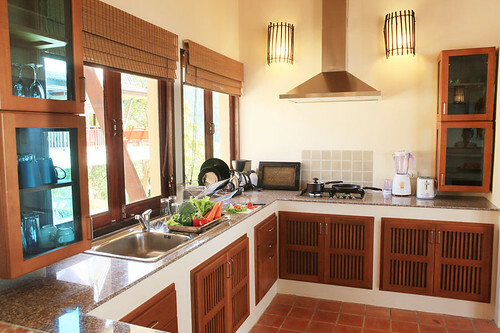 All eight villas are identical in size and interior and are perfect for up to 6 Adults or a family. 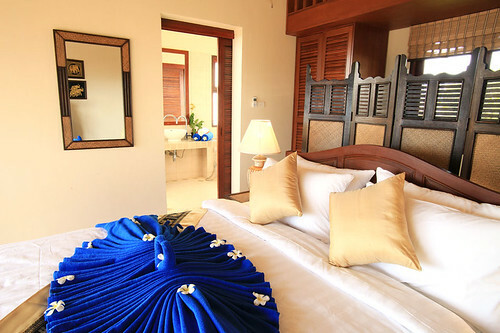 They comprise of 2 Air conditioned bedrooms with Queen size beds. Both rooms have an additional bed suitable for children and baby cots are available. 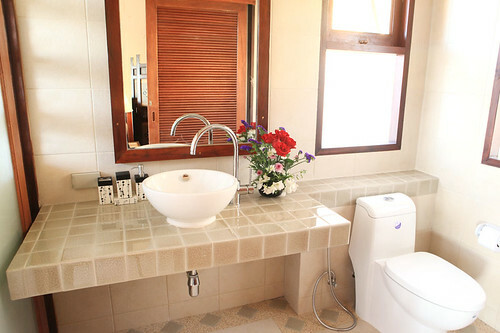 Two western style bathrooms are fitted with open air showers. You can create exciting meals in the fully fitted kitchen and enjoy the large living area with free Internet connection. 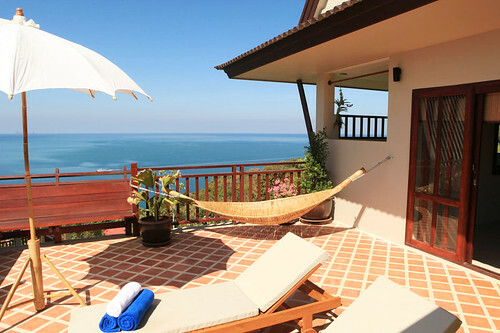 All of the spacious Villas have an unrestricted 180 degree view of the sea. Relaxing outside on your own comfortable private terrace is a must. Here you will find sun beds and a dining area. All villas have stunning views on to the beautiful landscaped gardens and each villa was specially designed and built with an unrestricted 180 degree view of the sea. All eight villas have identical Living Areas. 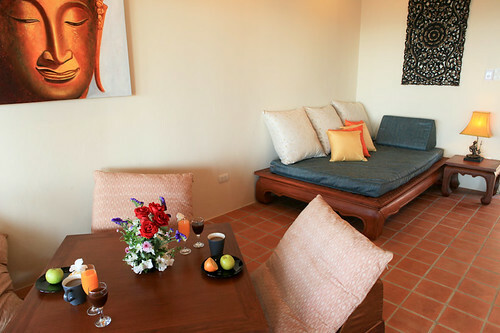 One of Baan Kantiang See Villa’s Bedrooms. 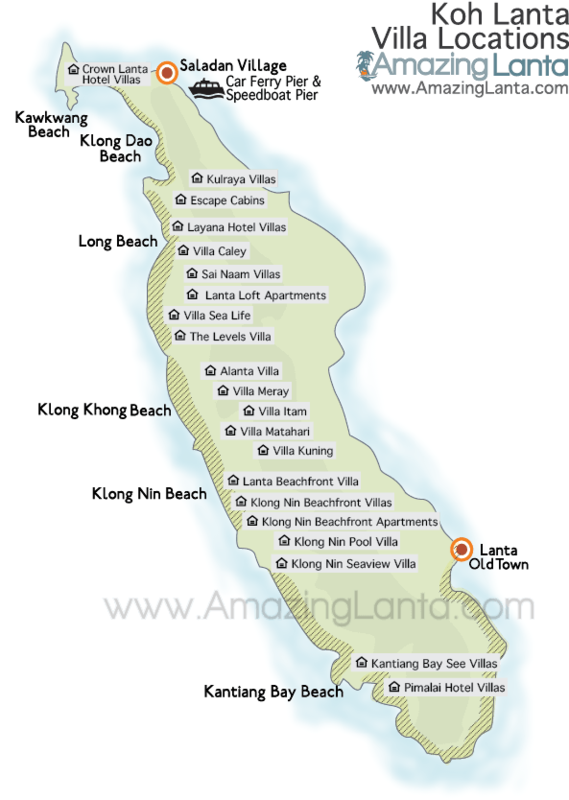 The Villas are part of a small complex located just out side Kantiang Bay. The main roads to the Villa are all concrete roads, it is based on a hill which means the incline is quite steep. Walking down in to Kantiang Bay is quite easy as its all down hill how ever going home is a different matter so when staying here hiring a motorbike or car here is strongly recommended to get around. Just outside the resort is the Jungle View Restaurant which offers Thai and Italian food and directly opposite on the main road you will find Thang Daeng a small Thai restaurant. Then turning left, following the road down into Kantiang Bay near the bottom on the right is Drunken Sailors Coffee Shop. A laid back cafe where you may get stuck all day lounging in hammocks with a large menu of Burgers, Pasta, Thai classics and great coffee. Just around the bend is the new Taj Mahal serving great Indian food. Walk toward the beach and enjoy a seafood BBQ at the Bay Front restaurant located on the beach at the Baan Laanta Resort. A nice walk then left along the beach and you can enjoy the Same Same But Different Restaurant. For drinks head down to the beach, all resorts have there own beach bars but one special cliff side bar which is located in the Lanta Marine Park View Resort is called the Shroom Bar. Also look out for special party nights near the full moon. You will find many enjoyable things close to the Villa with in easy walking distance, how ever the Island is around 35 km long so for a stay renting a car, motorbike or Tuk Tuk would be advised. You can hire them on daily or weekly basis and the Baan Kantiang See Villas manager will be happy to help and organise these rentals for you when you arrive on Koh Lanta.